The U.S. District Court for the Eastern District of Texas, Tyler Division, accepted the suit from Data Engine Technologies LLC, which claims Apple's Numbers infringes on a 1995 patent for a "system and methods for improved spreadsheet interface with user-familiar objects," reports CNET. 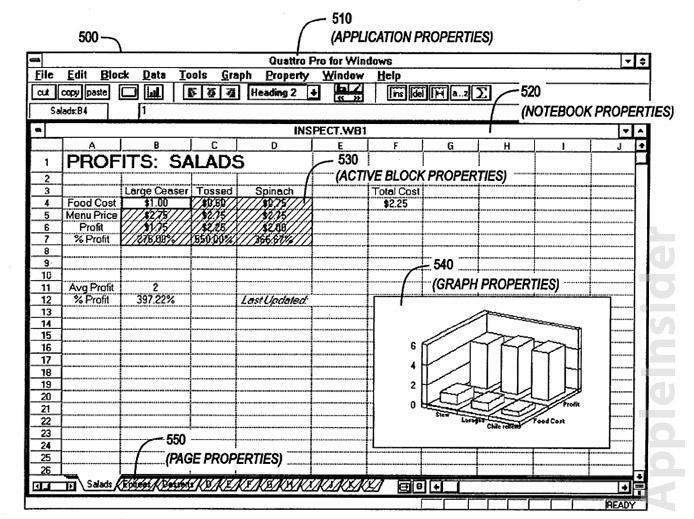 First discovered by Priorsmart, the suit alleges that Apple had prior knowledge of the patent as early as 2010 and went on to cite the IP in its own 2007 patent for manipulating spreadsheet cells. The property being asserted is U.S. Patent No. 5,463,724, which was granted to Borland International and later purchased by Data Technologies, a non-practicing entity or "patent troll." Apple first rolled out Numbers in 2007 as part of the iWork '08 software suite and went on to expand the software's capabilities by introducing it on the mobile iOS platform in 2010. The suit is seeking damages and an injunction against Apple's infringing products, most likely in the hopes that Apple will settle out of court to avoid a possibly lengthy trial process.